When one of our clients looks to increase their business with quality packaging, we'll do anything in our power to help them succeed. In this case a well-designed, easy to open packaging solution was exactly what Fuzz Therapy needed. After reviewing their first round of packaging produced in China we suggested an easy opening turned edge box with a magnetic closure. 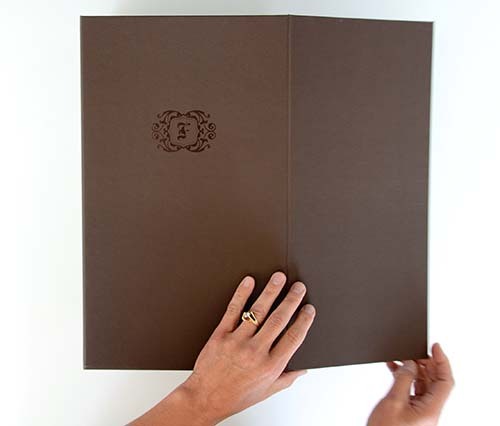 The package is fully wrapped in litho printed labels with soft touch lamination and spot uv on the cover. The result is just what the client was looking for, a luxurious feeling package that is to be kept and admired and adds to the gift opening experience. We were even mentioned in an article of Inc.
"If you purchase one of these teddy bears as a gift for someone, know that there's a story behind the gift box -- and the company. Julee Shepard started Fuzz Therapy about 18 months ago after sending a gift to her sister-in-law, who had metastatic breast cancer and died in 2012. Shepard realized how even the unboxing experience can become a cherished moment. The original box design, made in China, cost $11,000 for a 1,000 sample run and consisted of a slide-out drawer, but gift recipients sometimes struggled to rip off the front cover. 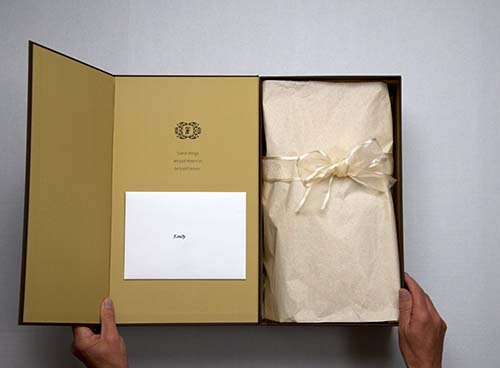 The new box, designed by Yes Packaging in Chicago, folds open easily to reveal the gifts inside." - Inc.